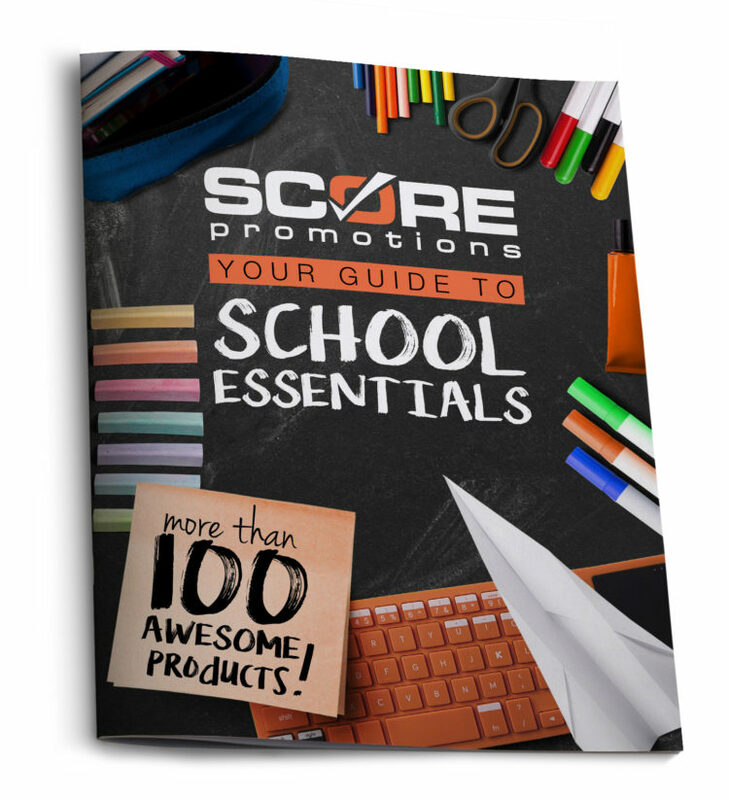 Score Promotions is a medium sized company, yet a leader in promotional products distribution. Score’s Products are always kept up to trend and industry standard of quality. 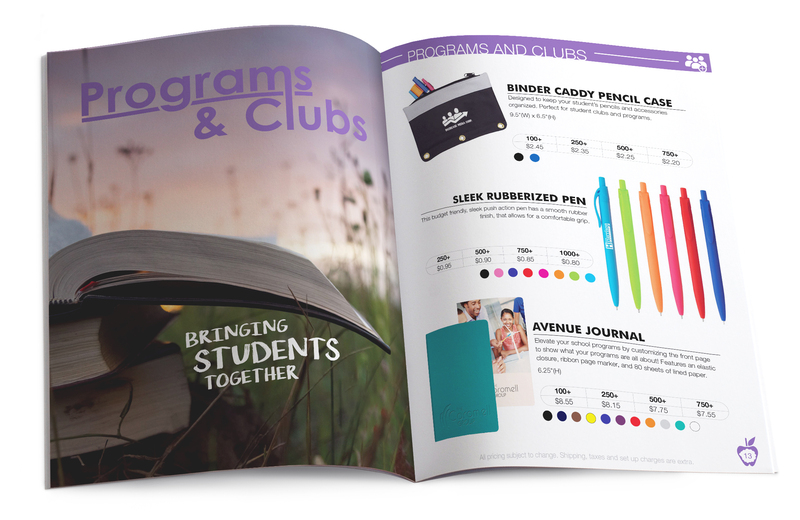 The goal of this project was to have a consortium of promotional products that were directly targeted and shared with schools and other educational institutions. 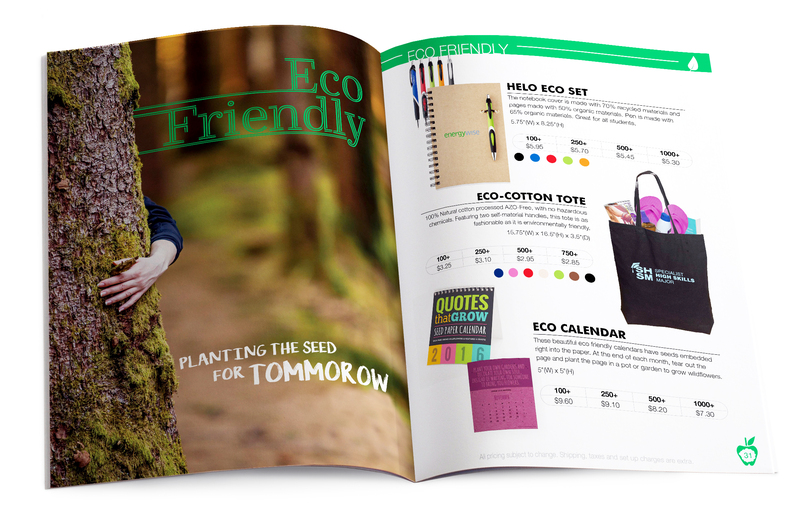 create clear and concise collaboration with Score’s marketing team and account managers to find the latest trending products along with products that would be timeless. 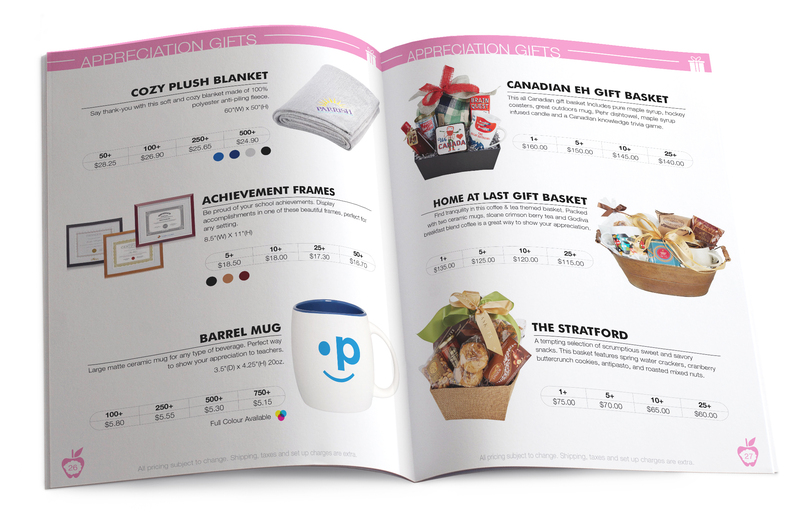 As pricing these sourced products was constantly changing with different printing options, a unique and tailored means of showcasing colour options and different price breaks was required. 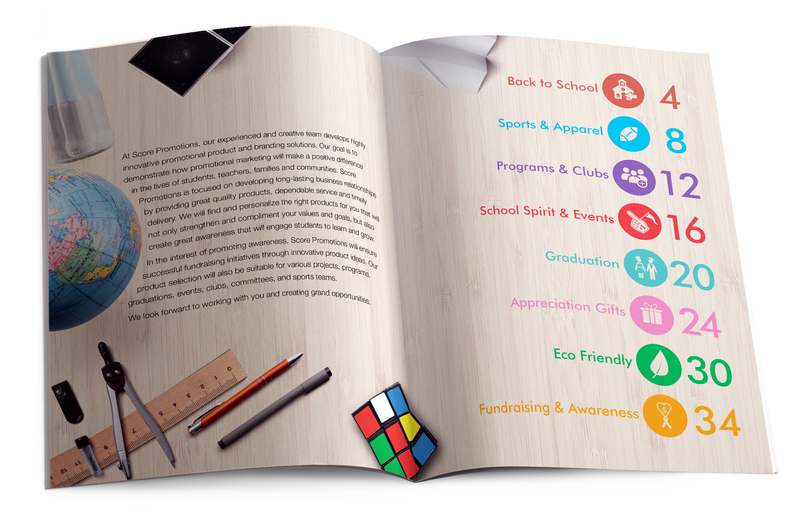 The generation of a direct mail campaign that would engage schools to market themselves utilizing the impression power of promotional products. 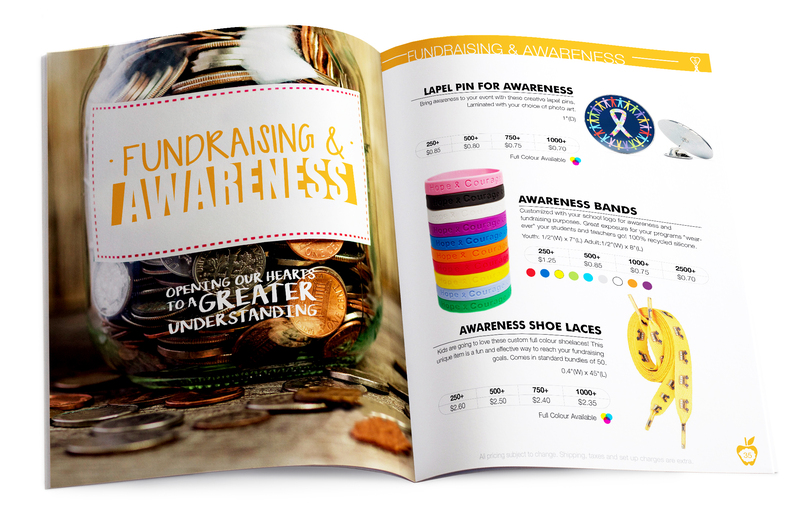 Helping to create and being apart of a collaborative and engaged team of account managers to create a direct mail campaign with ease.